A Special Needs Trust (SNT’s) is a type of trust. It is specifically for someone who is disabled or mentally ill. The beneficiary must be intellectually or mentally incapable of managing their own finances. A trust is the legal relationship created when a person (the “settlor”) places assets under the control of a person (the “trustee”) for the benefit of some other person or people (the “beneficiaries”) or for a specified purpose. The trust is used to make sure that the beneficiary’s needs are met without losing access to government programs that would be critical to their long term care. These trusts are also commonly referred to as Supplemental Needs Trust because the assets in it are meant to supplement what the beneficiary gets from the government. By the time she was 14, caring for Katherine had become increasingly difficult….dare I say almost impossible. We had been treating her behavior in any number of ways since she was 9. It had reached a point where we were having an impossible time keeping everyone safe. We needed help,governmental assistance type help. I knew eventually she would need this type of help, SSI at the very least. It’s hard to accept that your child is going to be dependent on others for the rest of their life. You want your child to have a future that leads to independence and a self guided life. There are plenty of people where that is a real possibility. Katherine just isn’t one of them. She will forever need someone to be with her and caring for her full time. She will always need assistance to function in society and I don’t want her winding up warehoused in some nursing home or other such setting. There will also be a day where I will no longer be there for her. I’ll need to be able to have a system in place to protect her. I thought we were still several years away from looking at that. Well, I was SO wrong. We needed these assistance programs to try and keep Katherine home and all of us safe – NOW! It had the potential to be the equivalent of an atom bomb, just waiting to go off – destroying everything in it’s wake. I became aware of Special Needs Trusts about the time Katherine hit the age of 15. Katherine has an amazing extended family who want to make sure she is provided for, to help care for her, by leaving her money in their wills. When she was little, it seemed like a blessing. As she got older and we needed the government assistance, I suddenly realized what a catastrophic kindness it could be. It had the potential to be the equivalent of an atom bomb, just waiting to go off – destroying everything in it’s wake. We were going have to fast track the plan to get her protected from all these wonderfully generous people. Doesn’t that sound awful?! And that’s how we found ourselves needing a Special Needs Trust. Katherine needed services we could only get with a Medicaid waiver. The Medicaid waiver is is an ability to use Medicaid in ways outside of the general parameters of Medicaid to get essential services for a person with disabilities. (I promise to do a post on waivers in the near future. It’s a really important subject). She absolutely needed to have Medicaid to have access to the waiver programs so we could keep her living within the community. It was critical that she not have assets that could disqualify her. A special needs trust was the vehicle that would keep her safely on the Medicaid waiver, and still allow myself and extended family members to assure Katherine was provided for now and long after we were all gone. with a significant and chronic or persistent disability. Assets in a trust are not considered the property of the beneficiary (the person with special needs) of the trust. It protects the beneficiary’s ability to qualify for government assistance (SSI, Medicaid, vocational rehab, housing assistance, or any other assistance) that is based on financial need or assets. These programs currently require that the person must have less than $2,000 in personal assets. 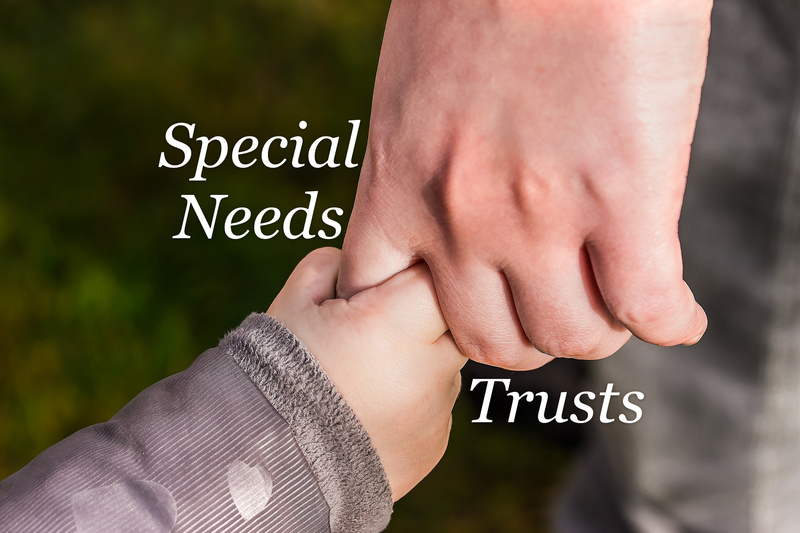 Because there are such significant rules and restrictions surrounding Special Needs Trusts, you should make sure to consider that there are different types of trusts. All of these trusts allow the Trustee to pay for expenses that the government programs don’t cover or cover sufficiently, such as specialized medical or dental treatment, private caregivers, better housing, travel, entertainment, memberships (think the YMCA or a special needs sports team fees) and so forth. There are strict rules about what can be done and how it can be done, so it’s critical you consult with an attorney. These are different types of trusts. First is the Self-Settled Special Needs Trust. This type of trust is created from the funds of a disabled individual. It allows a disabled person who is on Medicaid or other government programs to protect some savings to use later for paying critical living expenses without losing their equally critical government benefits. With this type of trust, funds left at the time of the beneficiary’s death are required to pay back funds used by the beneficiary to medicaid. Next, would be a Third-Party Special Needs Trust. This trust is created by a person who has no legal obligation to support the disabled beneficiary. It can be created by lifetime transfer or by will. This is usually the type of trust that parents of disabled children use to make sure that their child will not lose their needed government benefits. At the same time, this trust can provide for the child during their lifetimes and/or after the death of the last parent. The person creating the trust can not have a legal obligation to support the child, and the trust is not funded with any assets of the child Note: after the age of 18 you are not legally required to support your child. Thirdly, there is another type of trust called a Pooled Special Needs Trust. This is usually run by a not for profit and it is where numerous individuals who are disabled pool their resources into a trust. Before you panic thinking someone else is benefitting from your dollars it’s not quite like that. The Pooled trust has sub-accounts so that each individual has access to their own funds but by pooling the funds has greater investing potential. There are numerous things that need to be considered before entering into a pooled trust. One considerations is that in many pooled trusts at the death of the beneficiary the remainder of funds either go toward repaying medicaid or into the general fund of the trust. You can not pass down the money placed into a pooled trust. Lastly, while not a trust, I’m including the ABLE Account in this rundown as well. The ABLE (Achieving a Better Life Experience) Account is a type of savings account that is similar to a 529 college savings account. Congress amended the 529 tax code that allows for tax deductible college savings accounts to allow for disabled people to have a similar tax exempt account for individuals who became severely disabled before they reached age 26. These accounts can also be opened in states other than the one you live in so that you can determine which state has the best program for your needs. 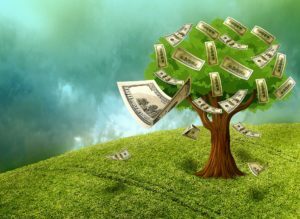 There are differing rules about these savings accounts vs. trusts. I’d recommend reading more information at The ABLE National Resource Center. They have the latest updates and incredible amounts of information about ABLE accounts. Given there are all these different choices, you really need to know which one will be the right one for you and your child’s particular circumstance. A lawyer and/or a financial professional can usually assist you with figuring this out. There are plenty of places online offering you forms to fill out. This is not a place for cost cutting measures. The money spent setting a trust up properly will protect your child as the years go on. Not setting it up correctly is an incredibly risky proposition. You can find places that will tell you you can do it yourself. I will just tell you most of them have a do it yourself kit to sell. The laws governing these trusts also vary from state to state so it’s not a one size fits all solution. PLEASE do not be what my mother would have called penny wise, pound foolish. …and just as this statement is true, not just any attorney should be drafting a special needs trust. Just like doctors have specialties, there are attorneys who specialize in this area of law and you can find them for your area at Special Needs Planners or Special Needs Alliance. To revoke or not to revoke that is the question. Nope. Sorry. It’s not a canned goods sale at your local supermarket. If there are two family members who are disabled and need trusts, you will need to set up two trusts. The federal requirement is that the document detail what constitutes supplemental care for the beneficiary. No two people will be alike in their needs – not even identical twins. Where the funds come from DOES make a difference. Funds that belong to the individual who will be the beneficiary of the trust are different than funds from a parent/grandparent setting up a trust for the beneficiary. As such they are different types of trusts and may make a difference in terms of access to benefits. This would be a whole law lesson – if it applies to your scenario though you should be certain to consult with an attorney specializing in special needs/elder law. You cut your disabled child out of the will. This trusted individual will use that money exclusively to help your child. Even if we assume this person will be completely honest and trustworthy, it doesn’t protect those funds! You’ve left the money to this person. That means they can do whatever they want with the money. It also means that the law looks at it as their money. If this individual is wiped out financially by a lawsuit, the money you left them gets lost too. If they get a divorce, the judge will consider that their money. Suppose half of all they own goes to their spouse during the divorce, your money is part of that too…because it isn’t your money. It’s their money. It’s NOT a good solution if you want certainty that the money will be used for your child. Every trust has a trustee. This is someone who makes decisions about what the trust will and will not pay for. There have guidelines about what the money can be used for (both by the federal government and the people who set up the trust) and it’s their job to follow them. There are basically two choices of people to name as a trustee: family member/friend or bank. My personal preference was for an individual. I feel they will know Katherine and better assess her needs. I didn’t want that job left to some sterile institution if I could help it. In the Trust we set up, I have named 3 different trustees. Each trustee is in place to cover in the absence or inability of the previous one. I suggest you have at least one person to back up your first choice. I have a bank as the choice of last resort. The state where I currently live also has something called a Trust Protector. The Trust Protector’s purpose is to protect the interests of the beneficiary and achieving the objectives of the trust. The objectives are outlined in the trust and usually in the Letter of Intent. (another article) The Trust Protector is a safeguard position, in the unlikely event that the trust is not being utilized properly by the trustee. As my last thought on the subject, I can not emphasize enough the need for you to use an attorney! Not just any attorney however. You should specifically find a lawyer who concentrates his or her practice on Special Needs/Elder Law. If you’re considering this, it’s important to you to protect your child. This will help ensure that protection is the best available. I hope that this summary of the types of trusts available to protect your special needs child has been helpful. If it has been, please share it or leave a comment.